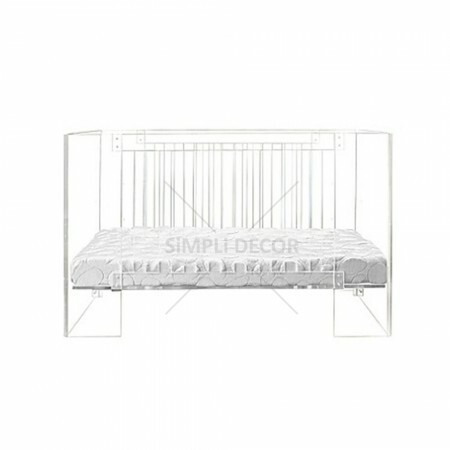 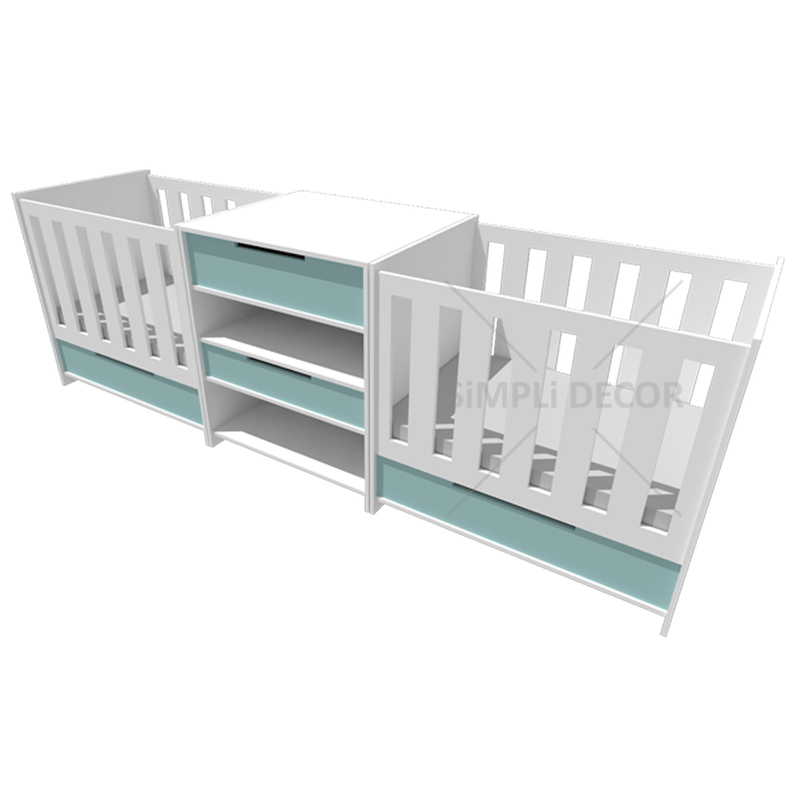 The Twice as Nice cot is designed for twins! 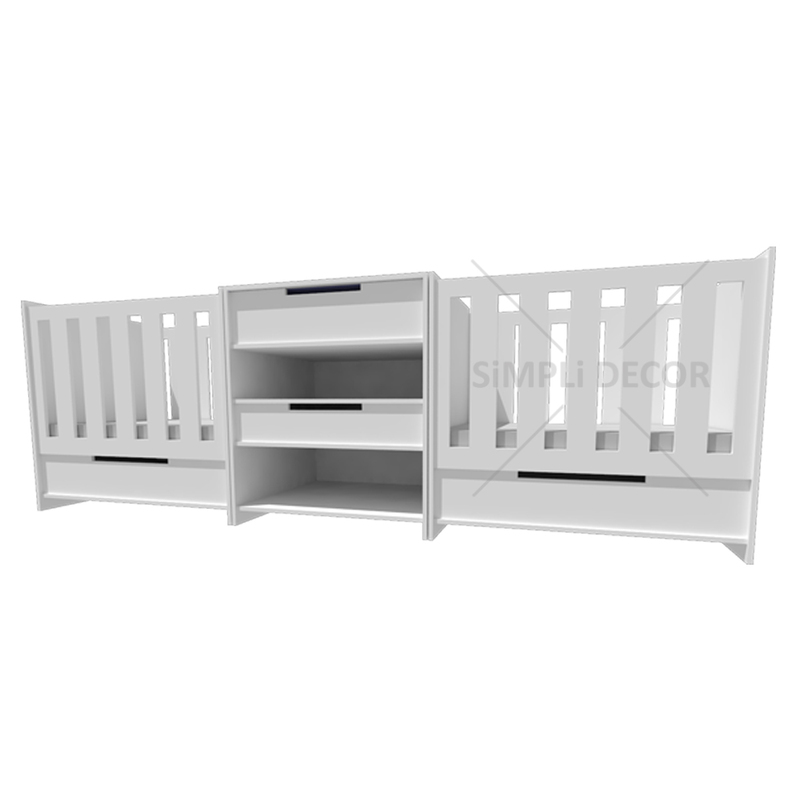 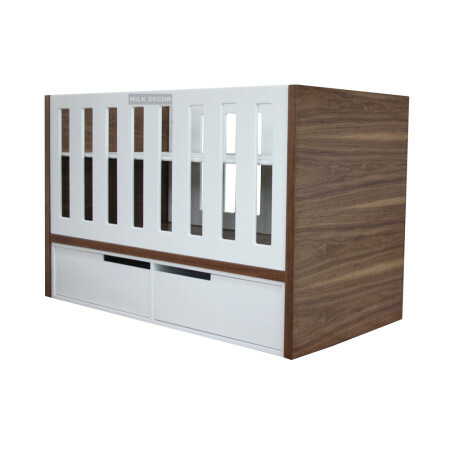 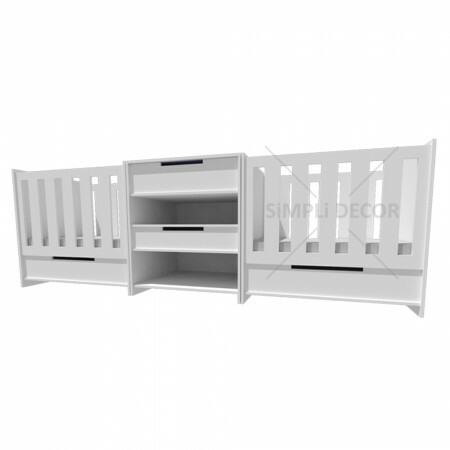 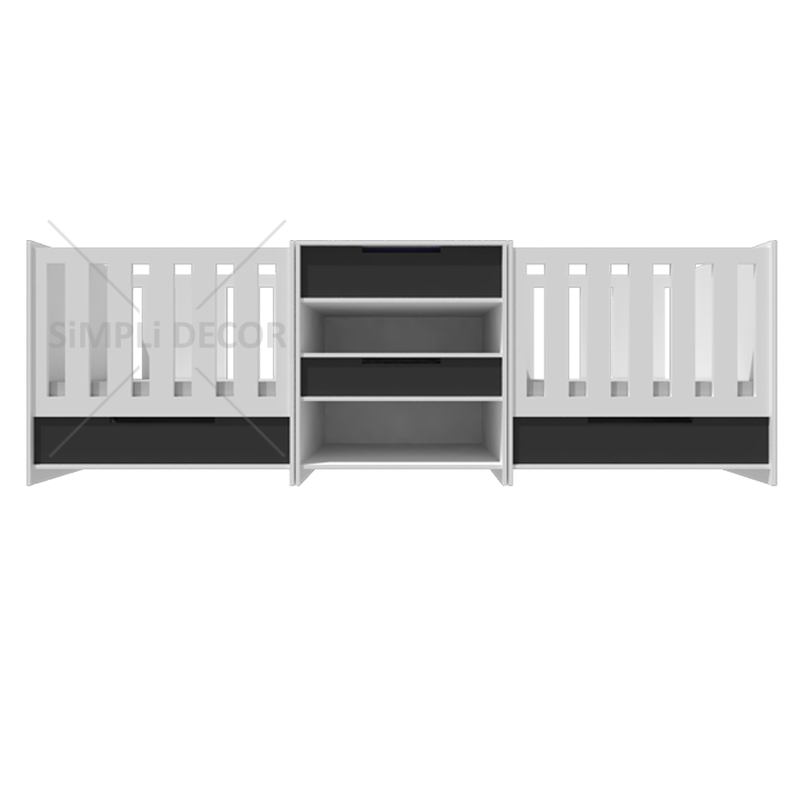 Each cot is separate from the compactum, however they can be placed in a line to have one feature wall with the 2 cots and changing table leaving additional floor space for play time. 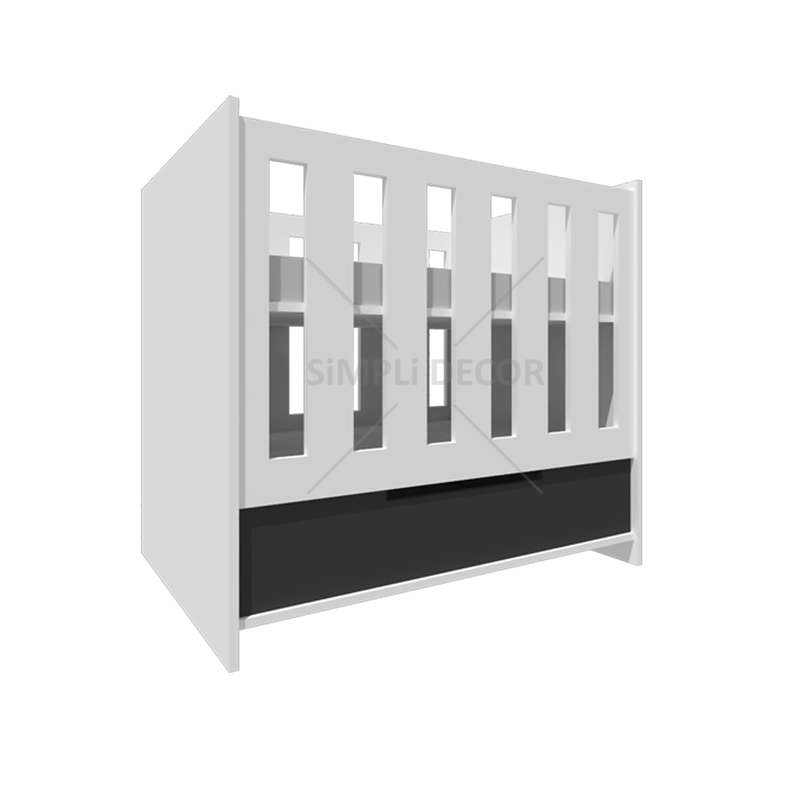 The base’s are adjustable to 3 heights. 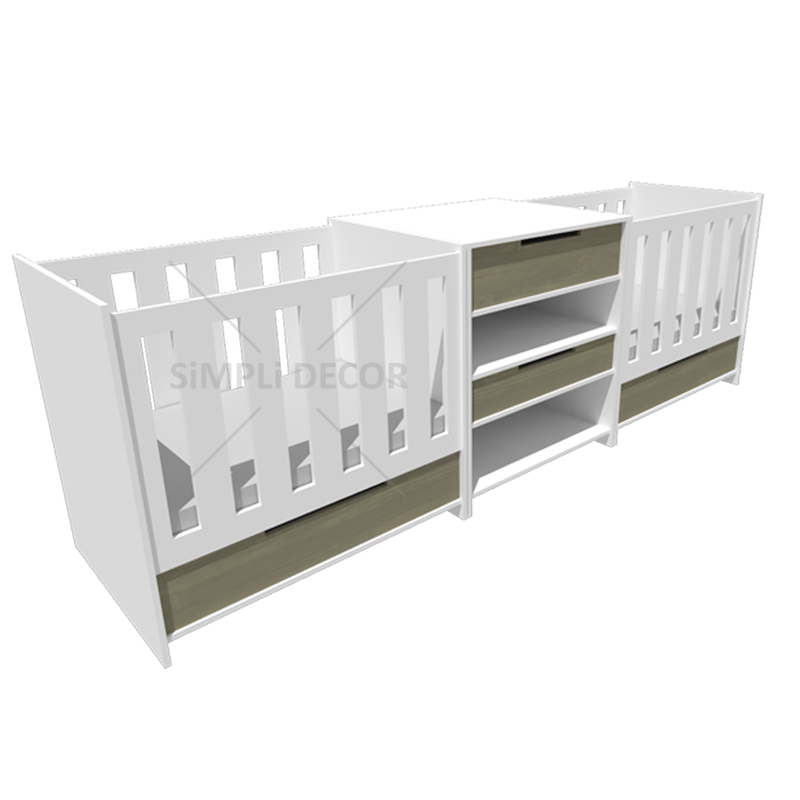 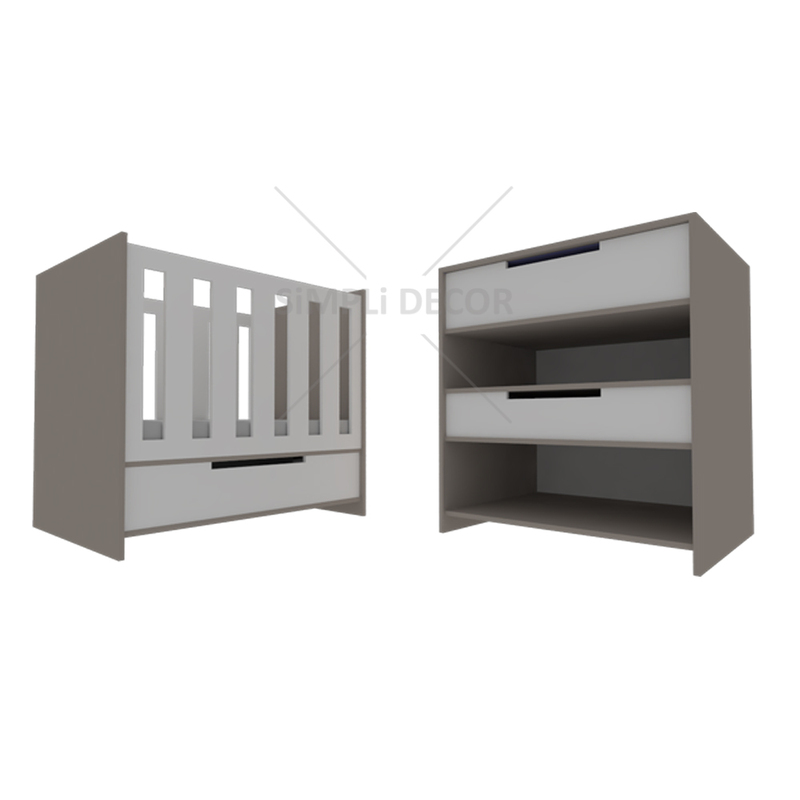 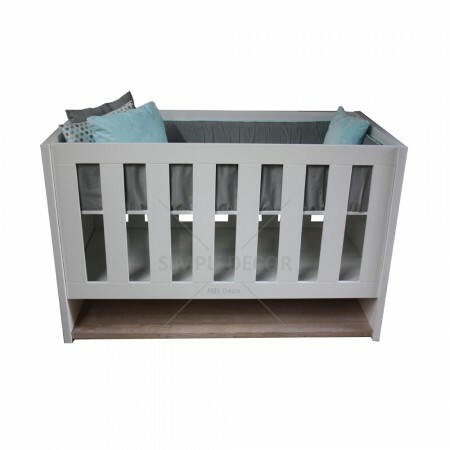 Drawers under the cots offer additional storage space for toys, nappies or cloths.